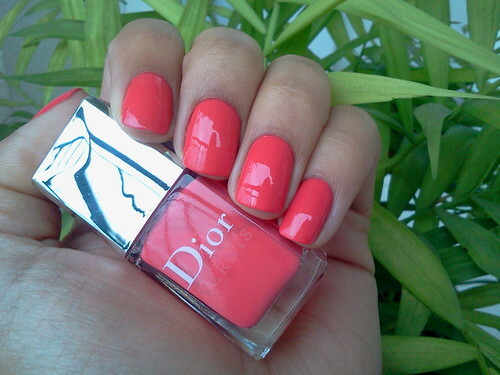 The latest color on everyone’s finger and toenails at the beach this summer is currently Dior Psychedelic Orange ($23). This peppy polish called ‘corange’ is the ideal blend of coral and orange — a cocktail of sparkle and shine. Apply this vibrant nail lacquer on fingers and toes and it will pop against both light and dark skin tones. An added bonus is that Dior’s new and unique brush grabs just the right amount of vanish for easy-breezy, streak-free painting anytime!